Win the super fast Air Storm Z-Tek bows with 125 foot range and Air Storm Firetek rockets from Zing Toys. Get the kids ready for an all-new archery experience with whistling arrows and light up rockets. I have one Air Storm Z-Tek bow and four Firetek rockets available to win. Get the next big thing in bow technology with the Z-Tek Bow. 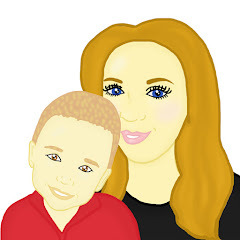 Check out the sleek new design and shape. Shorter bungees for faster firing. Arrow clips right on the bow for quick reloads and a powerful presence. It’s an all new archery experience with the Z-Tek Bow! Hook in the Zartz™ Arrow or Zonic™ Whistling Arrow, position the shot, and watch it fly through the air for an incredible 100 feet! Includes a Z-Tek Bow, two Zonic™ Whistling Arrows and one Suction-Cup Zartz™ Arrow. 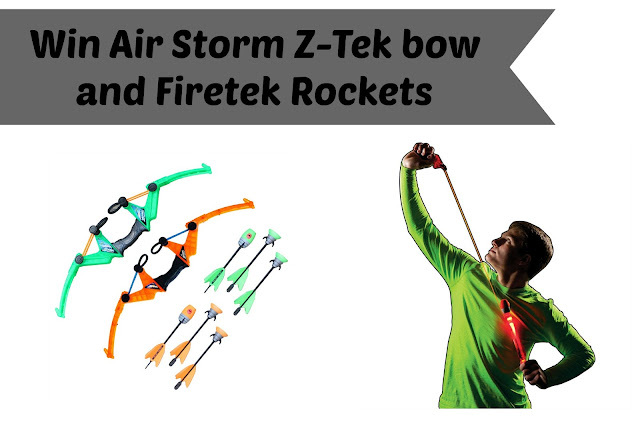 Please note the Air Storm Z-Tek bow comes in two colours – green and orange – winners can’t choose colours of prizes. The Firetek Rocket is launching into orbit as the newest addition to Zing’s Firetek line with lights and sounds, ready for outdoor day or night fun! Turn the light switch on the rocket to power up the action, Then, attach the Firetek light-up rocket to the launcher, pull the tab, and let it soar into the sky! Hear the whistle-screaming arrows in action as the rocket flies up to 250 feet high with just a simple flick of the wrist. The Firetek rockets are set to fly to incredible heights with long-lasting performance. Each set comes with two whistle-screaming light-up rockets and one launcher. To be in with a chance of winning one of these amazing prizes, simply enter via the form below – good luck! This looks so much fun.